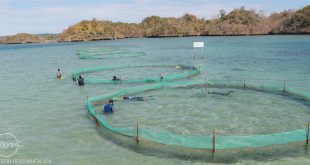 Research at SEAFDEC Aquaculture Department (AQD) aims to develop and refine science-based aquaculture technologies, and strengthen responsible aquaculture in Southeast Asia. 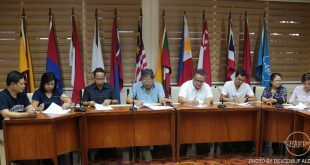 To uphold this goal, AQD welcomes research collaboration with academic and R&D institutions, non-government organizations, private sector, and government agencies in SEAFDEC member countries and other parts of the world. Proposals maybe submitted, assessed, and approved at anytime within the year. Proposals are usually in areas that AQD consider as priorities. However, collaborators may work on their own areas of interest. Collaboration may be on the various life stages of the above species (broodstock, hatchery, nursery, grow-out). If the interest is on biotechnology, AQD has a well-equipped Laboratory for advanced aquaculture technologies and enclosed wet laboratories for the isolated confinement of hormone-treated or genetically manipulated commodities. • We have the facilities to do studies in tanks, ponds, and cages. We also have state-of-the-art biotechnology laboratories. • We have multidisciplinary teams, and we have the track record for research (see table).